It is the first public statement from Ford on a fully autonomous car — but rivals like BMW, General Motors, and Audi all want to have a commercial driverless vehicle available a year earlier, by 2020. And rumors are that while Tesla’s Elon Musk promised full autonomy by 2018, his firm’s latest update of their AutoPilot system will provide full autonomy in months. In a Bloomberg interview, which we quoted above, Fields mentions a ride-hailing (or ride-sharing) app that the company plans to launch in major cities. Fields didn’t disclose the app’s business model or its launch date at the event. 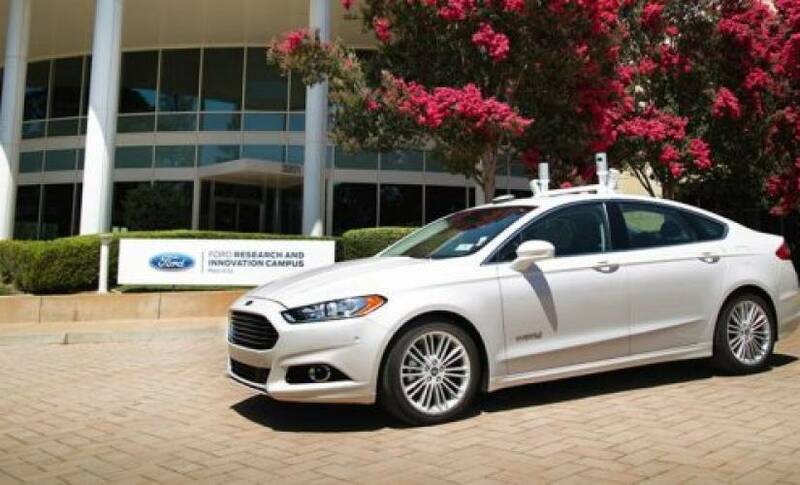 From what we can gather, Ford will deploy thousands of autonomous cars, but also sell the car to customers. Fields did not say if the price of the car would be more than the average vehicle, though some expect the autonomous features to come in a more expensive package. Ford also didn’t mention any major partnerships with Google, suggesting that the automotive giant wants to go it alone. It has made four strategic investments in startups, which includes $75 million to Velodyne LiDAR. Fields also revealed before the announcement that Ford intends to double the size of its Silicon Valley research lab, to 280 employees. Ford hasn’t made as much noise as its rival General Motors, which acquired Cruise Automation for $1 billion and invested $500 million into ride-sharing app Lyft. GM also reportedly offered to acquire Lyft, according to The Information, but Lyft rejected the offer. That lack of noise may be troubling for investors that want to see Ford compete heavily in the market, though it could also play into the company’s favor if GM ends up writing off the Cruise Automation acquisition and losing market share to self-driving competitors. How Will Industry 4.0 Impact Supply Chain Network?